This circular walk from Sandcastle Cottage is suitable for all ages offering spectacular coastal scenery, local history and wildlife. The walk is approximately 2.5 miles, along easy walking paths and suitable for all ages. A pair of stout shoes or walking trainers are sufficient as the paths are generally good and not muddy. A good pair of binoculars and a camera are recommended. I would also take a Mars Bar and a flask of coffee for the half way stage. Start the walk by walking down the beach path from Sandcastle Cottage towards Roome Bay. 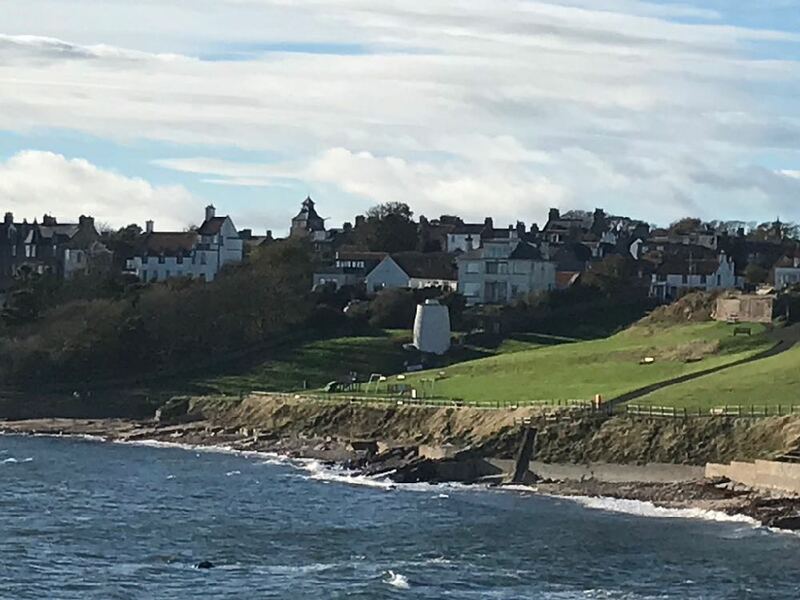 You will find the 16th Century Doocot on your right which has recently been restored by Crail Preservation Society. At the bottom of the beach path turn right and proceed along the coastal path passed the children’s play area. 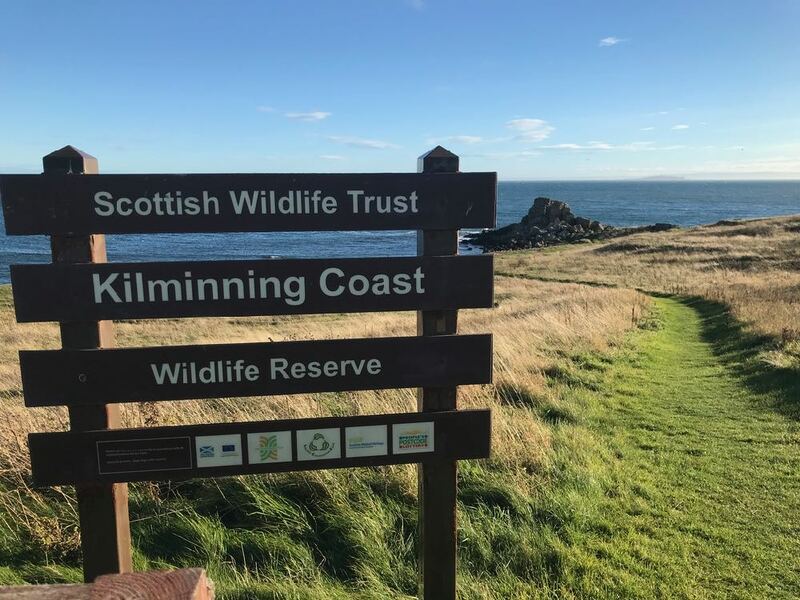 Here you will find a range of seabirds, Eider Ducks, Oyster Catchers, Sanderlings, Redshanks and maybe if you are lucky seals and dolphins. As you leave Roome Bay don’t forget to look back when you reach the viewpoint at the other end of the bay. 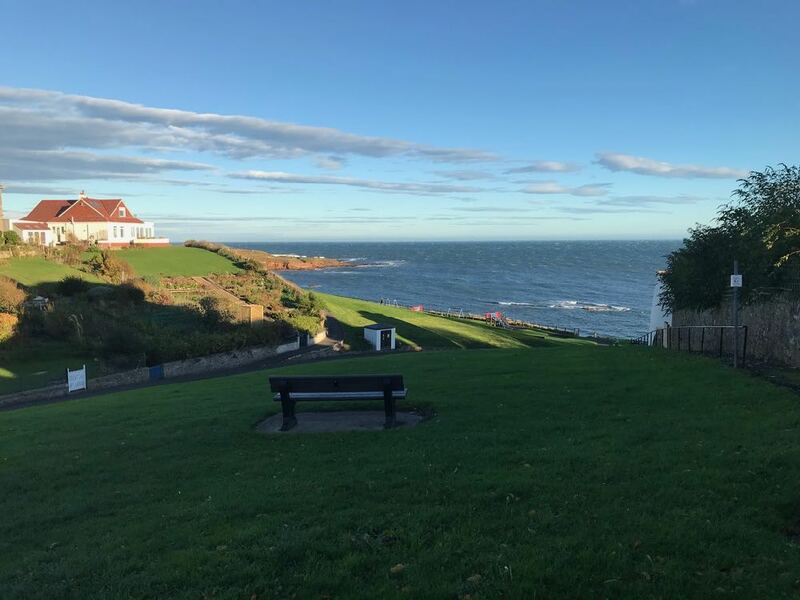 You will be treated to a great view over Crail. Proceed along the path towards Sauchope Links Caravan Park. 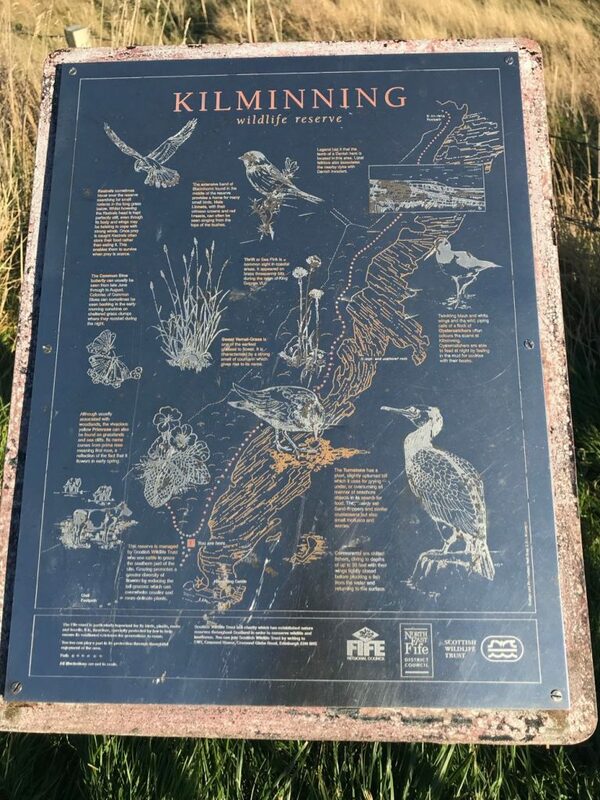 Walk through the caravan park to the end following the signs for the Fife Coastal Path until you reach a gate and a sign marked Kilminning Nature Reserve. Go through the gate and look for a path going up a small incline towards the car park at the top. There you will find an information board and a seat. Sit rest for a while and admire the view out to sea towards the Isle of May. It could be time for a Mars Bar, Sandwich or a cup of tea or coffee (if you have brought a flask). You are now refreshed and ready for the next part of the walk. Proceed through the car par and along the tarmac road. 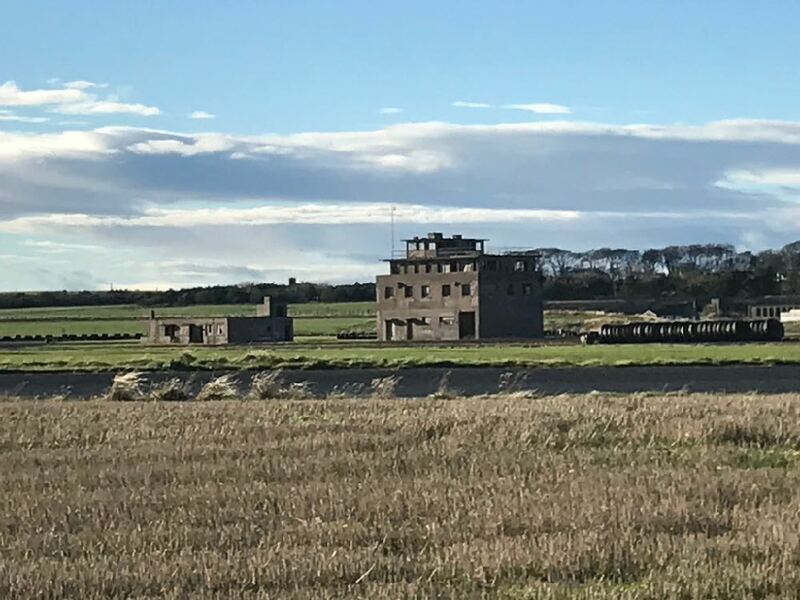 You will soon see Crail Airfield on your left. This was the former HMS Jackdaw a naval air station during the second world war. Torpedo attack planes flew from here. Stop at the end of the runway and imagine the planes roaring down the runway and flying directly over your head on their way out to sea. The old hangers and many of the buildings are still in use today. This is unfortunately private land so please do not try to climb over the fence into the airfield. There are organised tours of the airfield during the summer months. Details of which you can find by visiting Crail Museum and Heritage Centre in Marketgate. There are photographs of the airfield and some of the people who served there during the war. 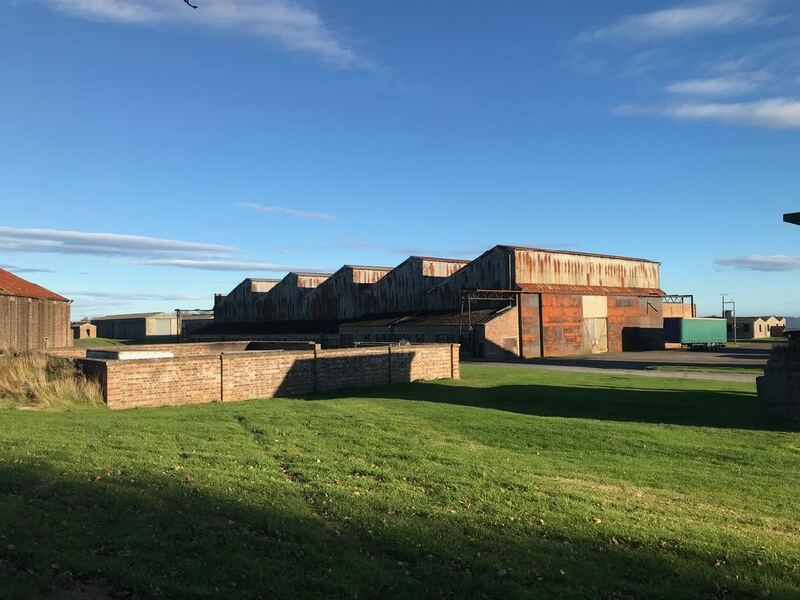 Proceed up the road until you reach the main road to Fife Ness and Crail Golfing Society. Take a left and walk back towards Crail. At this point there is no pavement so beware of oncoming traffic. Walk on the grass verge until you come to a pavement on your left a few yards down the road at the entrance to the airfield. 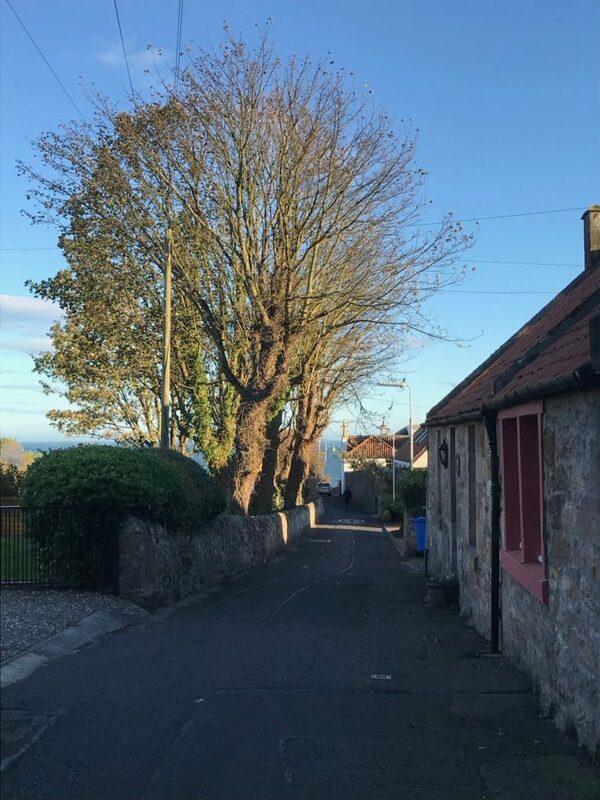 Walk back into Crail until you reach Kirk Wynd on your left and back to Sandcastle Cottage. I hope you enjoy this circular walk as much as I do. I have done this circular walk many times and have always found something different to see. If you would like to find out more about the many walks you can do in the area. 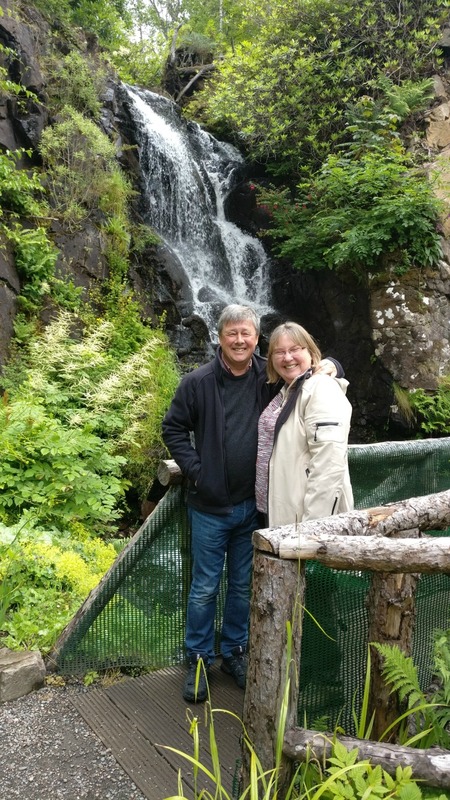 See our walking page Walks around Crail. Or if you would like to find out more about midweek or short breaks at Sandcastle Cottage click on the link below.